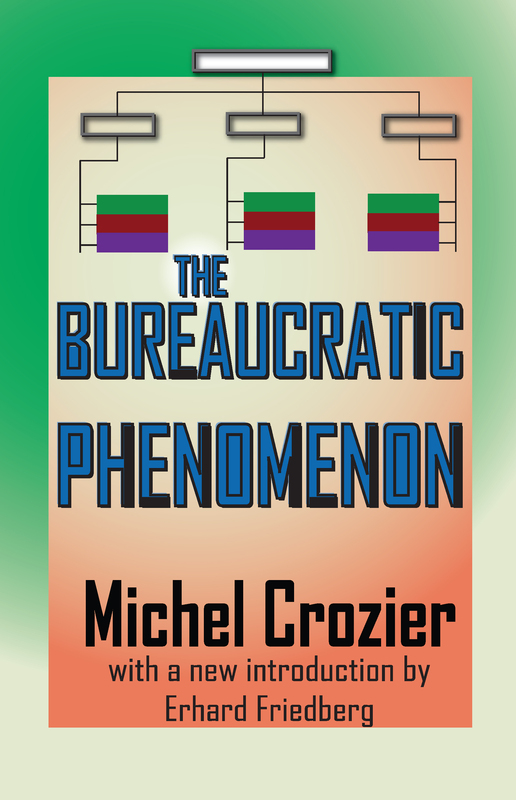 In The Bureaucratic Phenomenon Michel Crozier demonstrates that bureaucratic institutions need to be understood in terms of the cultural context in which they operate. The originality of the study lies in its association of two widely different approaches: the theory of decision-making in large organizations and the cultural analysis of social patterns of action.The book opens with a detailed examination of two forms of French public service. These studies show that professional training and distortions alone cannot ex plain the rise of routine behavior and dysfunctional vicious circles. The role of various bureaucratic systems appears to depend on the pattern of power relation ships between groups and individuals. Crozier's findings lead him to the view that bureaucratic structures form a necessary protection against the risks inherent in collective action.Since systems of protection are built around basic cultural traits, the author presents a French bureaucratic model based on centralization, strata isolation, and individual sparkle-one that that can be contrasted with an American, Russian, or Japanese model. He points out how the same patterns can be found in several areas of French life: education, industrial relations, politics, business, and the colonial policy. Bureaucracy, Crozier concludes, is not a modern disease resulting from organizational progress but rather a bulwark against development. The breakdown of the traditional bureaucratic system in modern France offers hope for new and fruitful forms of action.